Discover the latest announcements from Bear René – including new projects and company news. Stay up-to-date with our work and progress by following us on Instagram. Berkshire Living Magazine interviewed Sarah Oaten to learn about the inspiration behind one of Bear René’s recently completed interior design projects in Ascot. Berkshire Living Magazine is the lifestyle magazine for discerning home owners in Berkshire – celebrating the most interesting homes to covet and focussing on local luxury retailers. Discover how to create an enchanted, festive atmosphere in the home for family and friends to enjoy from now until the New Year. Bear René are delighted to have been appointed as the interior design firm to carry out a sympathetic refurbishment of Mayfair's Thomas Goode, home to the world's finest tableware. Bear René are the founding members of British interior design collective, The Design Lane – a select group of experienced interior design firms and industry veterans. 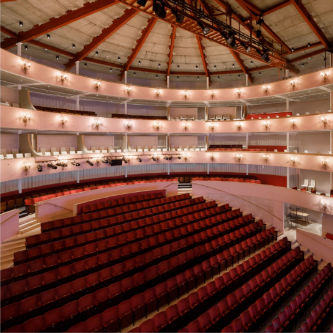 Porta Romana, one of Bear René’s preferred British suppliers, has collaborated with the Grange Park Opera in their new home in Surrey – Bear René joined them to celebrate. Bear René were invited to speak at an exclusive Member’s Only event at Soho Farmhouse. With the Electric Barn Cinema as the atmospheric venue, Bear René inspired guests on the topic of “Bringing the Outdoors Indoors” through interior design. A Bear René project of a double-fronted mansion house in West London, has been selected as the HouseBeautiful.com house for sale of the week. Take a look around this striking new build property in the digital magazine to view the interior architecture and design. Milan Design Week is an annual week-long celebration of design. Team Bear René ventured to the exhibition to immerse themselves in the design exhibitions, pop-us, product launches and to meet with scores of suppliers, brands and craftspeople. 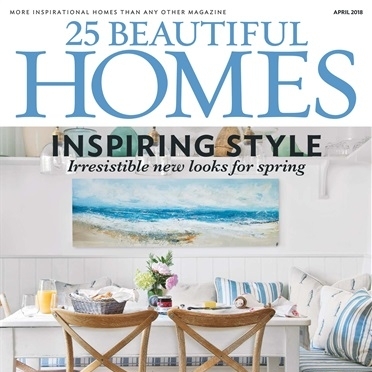 25 Beautiful Homes is the magazine to pour over for your own project inspiration and the team at Bear René are proud to have one of their interior design projects in London included within such a high calibre selection of featured homes. Nicola Oaten, has been interviewed by Tempus Magazine in an article entitled "Grand Designs". Tempus is the voice of luxury in London, offering readers the very best in fashion, travel, fine dining, and, of course, the latest in interior style and design trends. 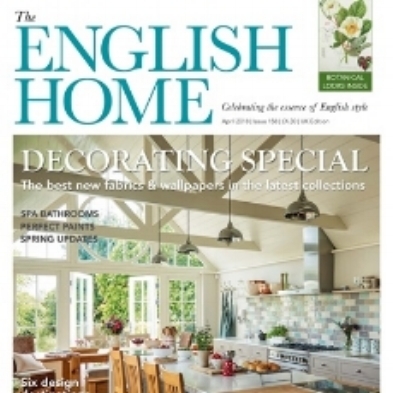 One of Bear René’s recently completed country home projects, which can also be found in our Portfolio, has been featured in the April issue of The English Home – a magazine ‘celebrating the essence of English style’. We recently completed the full renovation of investment firm Hambro Perks' 13,000 sqft headquarters inSt James' Park, London. Working with artist Charlie Oscar Patterson, we created an original space that reflects the dynamism of the company. Bear René were interviewed for the October 2017 issue of The English Home magazine. As an experienced and well-respected interior designer, Nicola Oaten was asked to impart her knowledge on how to incorporate carpets into the design of a home. Nicola Oaten and her family were the faces of the cover of the Home supplement of The Sunday Times with a double-page spread on how they redesigned their Berkshire family home, extending and adding value to the property – rather than moving. We have been privately appointed to provide a full interior design scheme in a 3 bedroom, 4 bathroom, luxury penthouse apartment in the iconic Gasholders development in King’s Cross, London. We've celebrated a significant business milestone: 10 years since the formation of Bear René. Watch our celebratory video for the decennial anniversary – and read a short message of thanks from Nicola and Sarah Oaten. We are pleased to announce that we have been appointed as the interior architect and design firm for an ultra luxurious 8 bedroom new-build villa in Port Andratx, Mallorca– an extensive 15,000 sq ft contemporary residence.